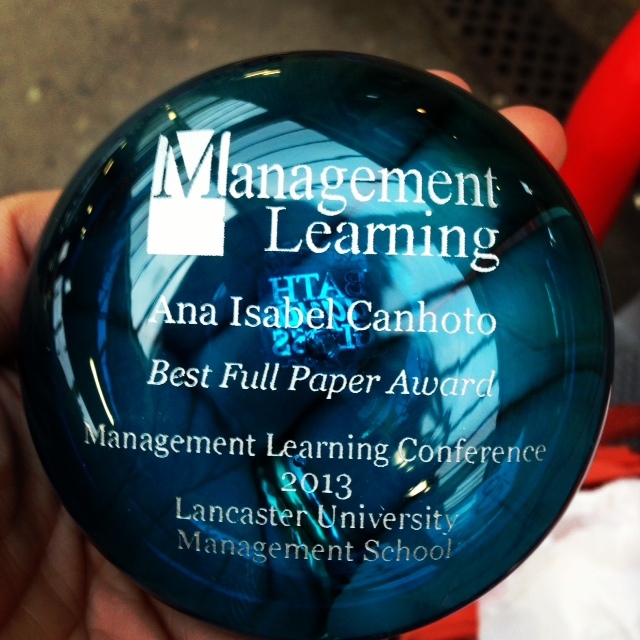 A lovely surprise, following my presentation at the Management Learning conference. Posted on March 20, 2013 by anacanhotoPosted in UncategorizedTagged Best Paper Award, customer profiling, Management Learning conference, Personal, Research. Congratulations Ana! I’m sure it’s well deserved!